Turtle Surfboards has teamed up with Caribbean Conservation Corporation to ensure that surfers give back to the environment we cherish so much. A percent of all surfboard sales goes to this organization to help maintain and protect our coastal environments. So, the next time you paddle out you'll be stoked on the board's performance and have peace of mind knowing your board is also working to save sea turtles and our coastal environments. Surfers have been enjoying our coastal environments for centuries. As a shaper and life long surfer, I have become quite the ocean enthusiast. What was once a simple love of riding waves has become a passion to protect our ocean environment and, most importantly, the animals it inhabits. Surfers, such as myself, have been the voice and the guardians of our coast. Surfers, more than anyone, should recognize this need to give back and protect our oceans for future generations to ensure a healthy home for our fellow surfers and those animals that live in it. So don't stop here. Get involved, volunteer, donate, or simply support an organization that does all the hard work, the Caribbean Conservation Corporation (CCC). TURTLE Surfboards is a new surfboard company that was launched into business by Tom Salinsky, a long time surfer/shaper originally from New Jersey. He has traveled near and far most of his life in search of surf, but now he resides in Florida with his wife and kids, surfs whenever possible, and shapes surfboards with the same passion he has for his lifelong love of surfing. TURTLE Surfboards believes in giving back to the oceans we love and the communities we live in. In addition to the annual percent of sales contribution to the CCC, TURTLE Surfboards sponsors adult co-ed softball teams in the Boynton Beach area and local elementary school “field trips” and “Parent Night” activities. 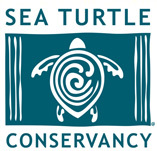 Currently, TURTLE Surfboards is sponsoring 4th and 5th grade students to attend a SEA CAMP in the Florida Keys where they will interact with various forms of sea life, snorkel over live reefs, and learn about ocean ecology and the conservation of our ocean habitats. It is sure to be an unforgettable experience for these young students and Turtle Surfboards is proud to be a part of it! Tom hopes his contributions will, in some way, bring about a more environmentally conscious society. Tom‘s motto is truly all about “giving back” and doing more for our ocean environments and the communities we live in. I appreciated Tom’s ability to take my surfing experience into consideration while he shaped my board. Before riding Turtle Surfboards I was surfing a 6’8”. Tom was familiar with my surfing and he always told me I needed a shape that was more progressive so I let him shape my next board. Now, my new board still has a lot of float, but is more dynamic. I can actually catch waves easier with this smaller board (6’3”) than I could with my 6’8”. Plus, the board is easier to turn so it’s loose and it holds the line well when it needs to. The shape works well in smaller waves providing plenty of speed and is fast and responsive in sizable surf too. I’m really happy with it and I told Tom I will let him know if I find any flaws- I don’t suspect I will. My Turtle Surfboard helped me through a surfing “slump.” Now, I’m having fun again and progressing. It is the “go to” board of my quiver. Everyone was checking the board out at Cabanas. Finally, some waves arrived and I was able to get it in the water. It‘s a sweet shape and rides well. It is just what I asked for. Thanks! I’ve been riding my 9’0” Turtle Surfboard for just over 2 years and I am very happy with the overall shape and performance of this board. I had requested a “nose-rider” shape and this is exactly what I got. The board planes easily and sustains its speed on small waves, but is also able to perform well in larger surf. When I first got this board I used to only take it out when the conditions were too small to have much fun on my short board. However, I’ve been so happy with it’s performance, my Turtle Longboard has become my preferred board for nearly all conditions.